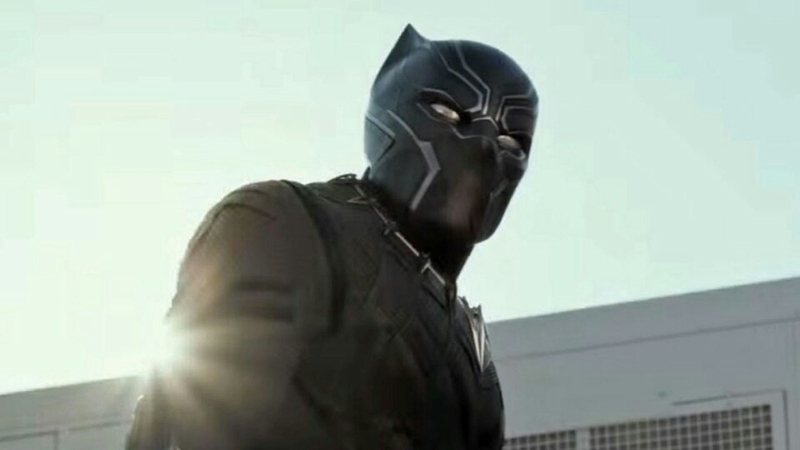 Before the release of this past weekend's mega blockbuster Captain America: Civil War, the good folks over at Collider got to talk with the directors of the film on a variety of topics, one of which being the character Black Panther who is introduced in the film and is played by Chadwick Boseman. During the conversation they revealed several interesting things about the character which you can check out below. COLLIDER: What is his power? Is it the costume? Is it that he’s been training like Jason Bourne? JOE RUSSO: "It’s a combination of everything. Certainly the costume gives him a level of protection and invulnerability because of the material that it’s made of." ANTHONY RUSSO: "Which is vibranium, for non-fans, and it’s the same material that Cap’s shield is made of." JOE: "It can absorb the energy, so it’s much harder to damage him as a character, and you can see that in the movie he can take a lot of punishment including bullets to the face. He is very well trained. He’s from one of the wealthiest countries on the planet, so there’s great infrastructure there; very technologically advanced country. So he’s been trained at the highest levels to fight, but he also has his own superpowers, which derive from the mythology of his nation. Those will be explored more in Black Panther, it’s clearly evident when he’s able to fight the Winter Soldier out of costume, and go toe-to-toe with him, that he is an enhanced individual." Interesting stuff, right? As one of the stand out characters in the new film, I personally can't wait to see what direction Marvel Studios take Black Panther in future MCU films and of course the stand alone Black Panther films. Captain America: Civil War is in theaters everywhere!